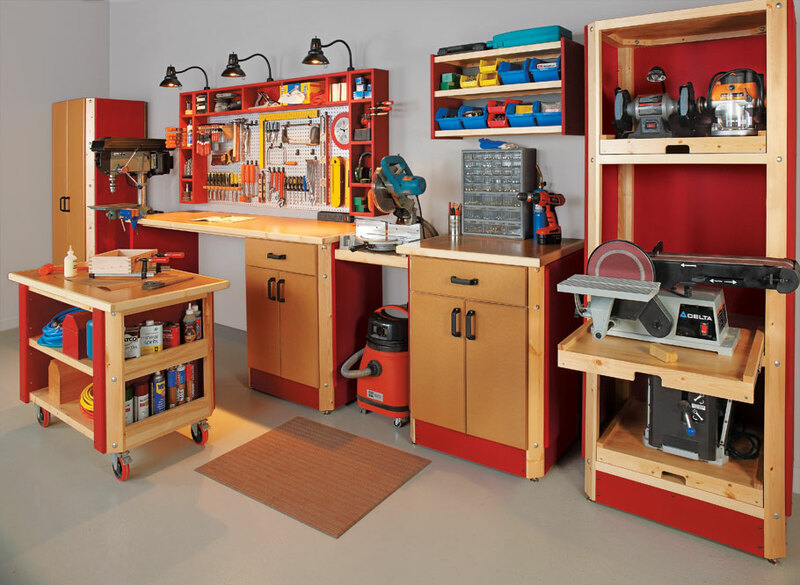 Organization is the key to making any shop work well, no matter what the size. 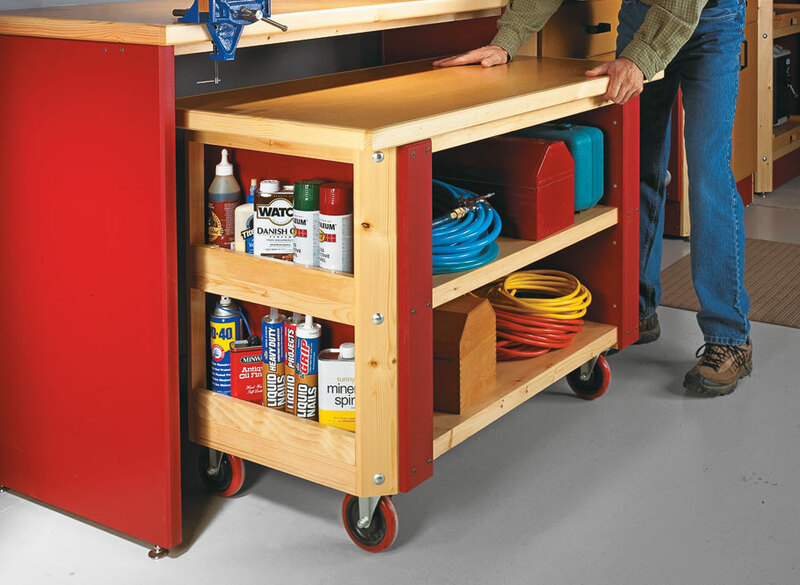 And if your shop is like most, it could use some additional storage space. That's where this shop system comes in. 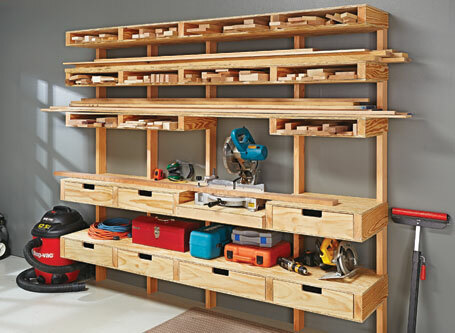 There's a lot of storage space packed into this wall system. What's not so apparent is its easy-to build design. Each unit is assembled from standardized components. 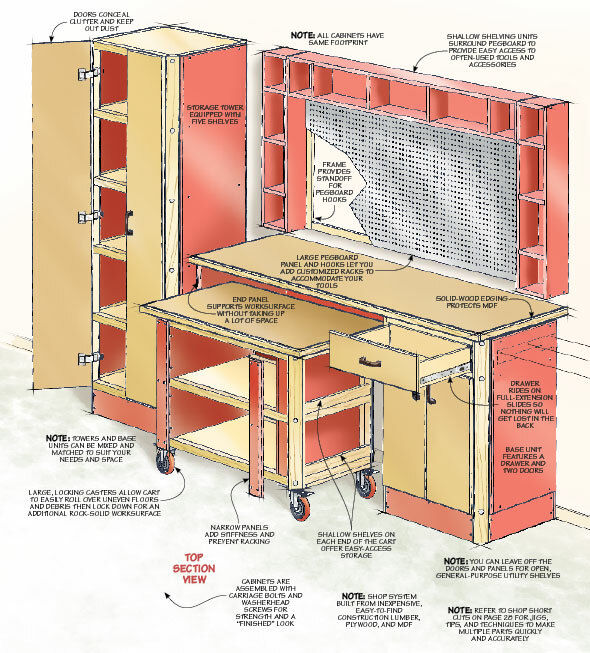 And it's made from inexpensive, easy-to-find construction lumber, MDF, and plywood. This way, you can build what you want… and add on down the road. 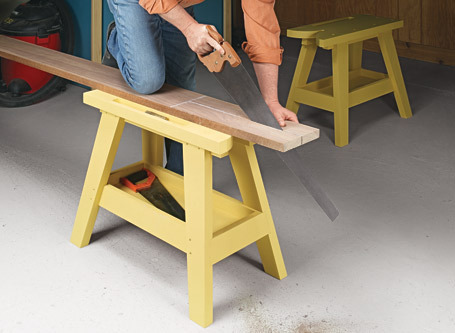 With built-in worksurfaces and a cutting center, this lumber rack is for much more than storing boards. 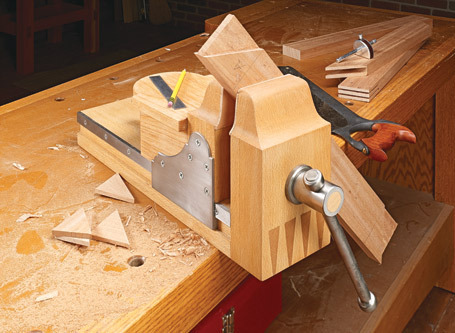 The no-nonsense usefulness of a sawbench in the shop can’t be overstated. 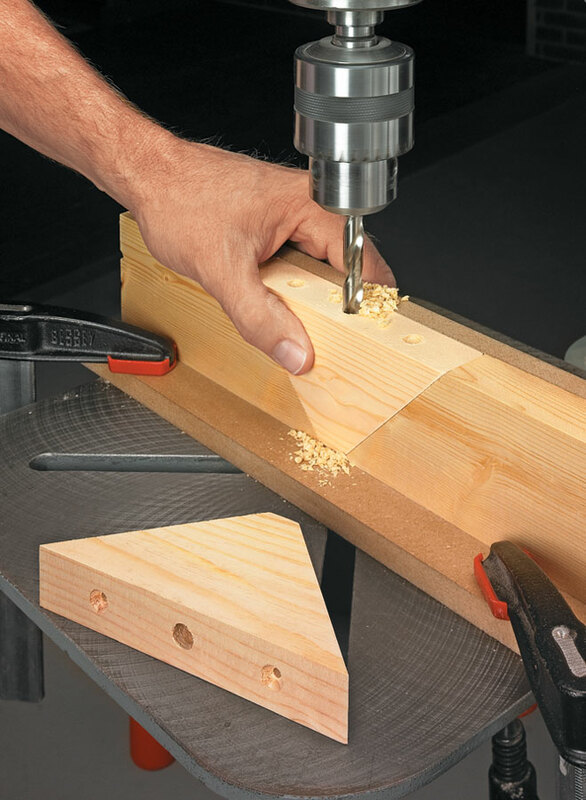 Making a pair of them merely multiplies the benefits.